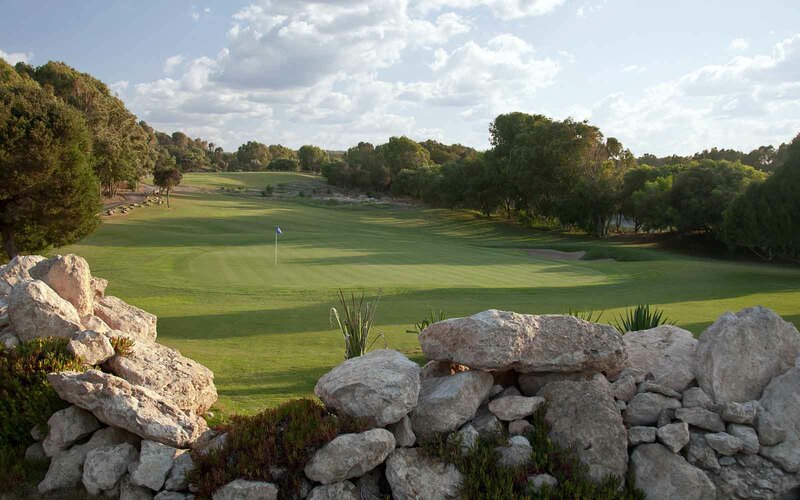 You take a break at the golf club restaurant and energise with a light lunch on the terrace before readying yourself for a round. 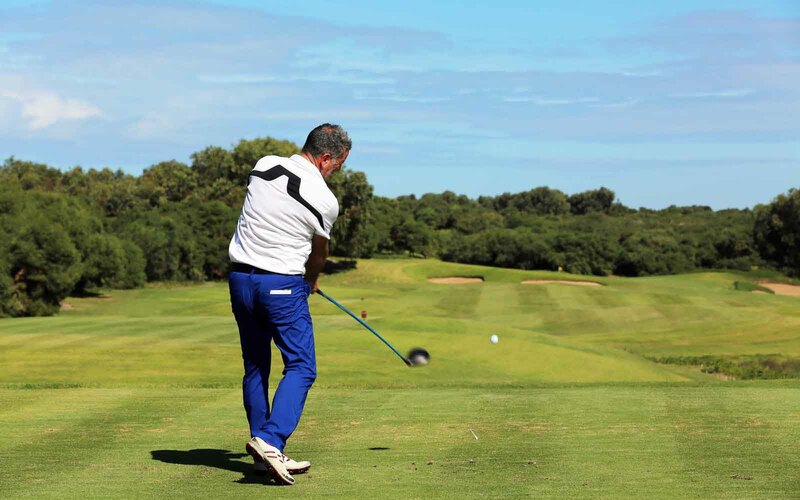 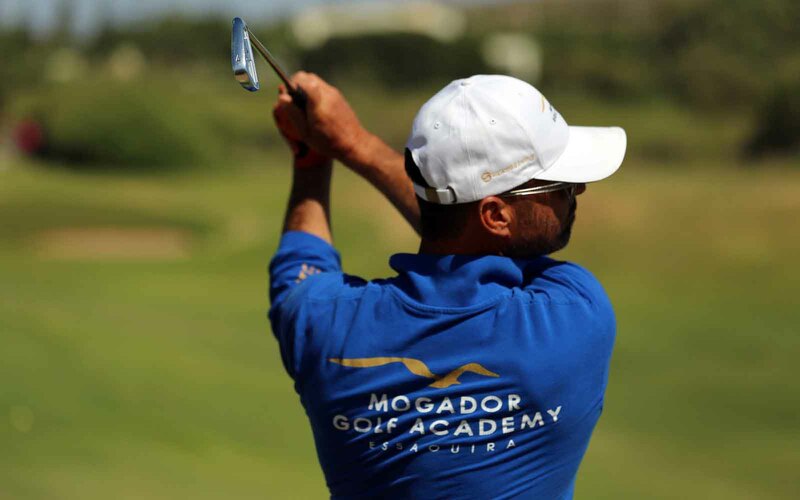 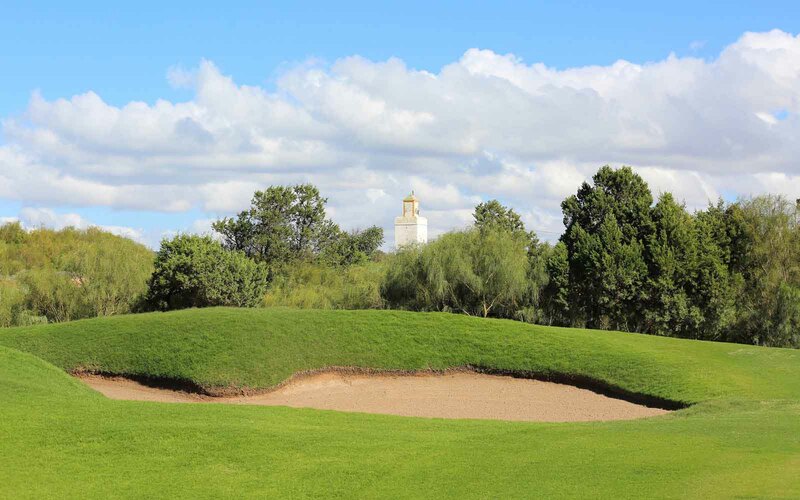 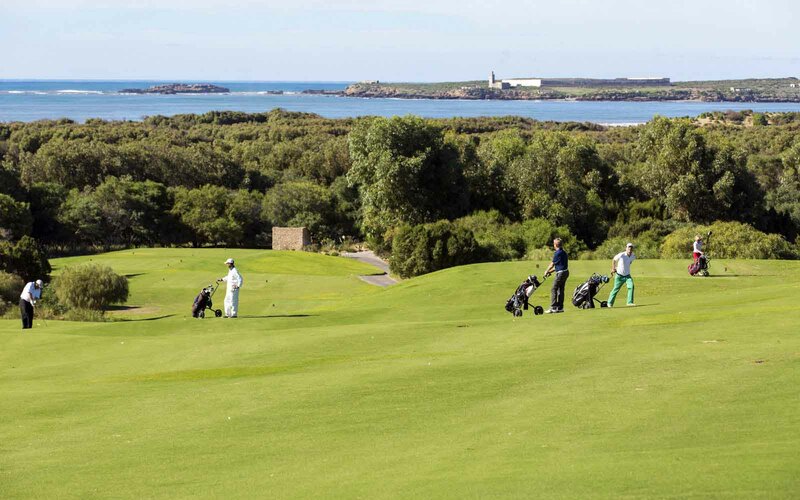 Designed by world-renowned golfing legend Gary Player, the Mogador 18-hole, par 72 and 13-hole, par 52 courses offer fantastic sporting challenges. You’re up for a challenge so opt for the 18-hole course. 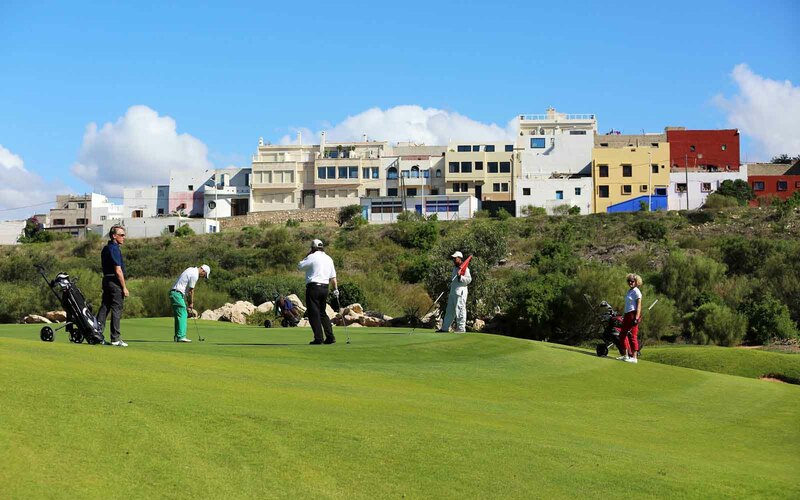 The comfortable temperatures and splendid position amid sand dunes, the Atlantic Ocean, and forests of juniper and eucalyptus ensure a superb sporting experience. 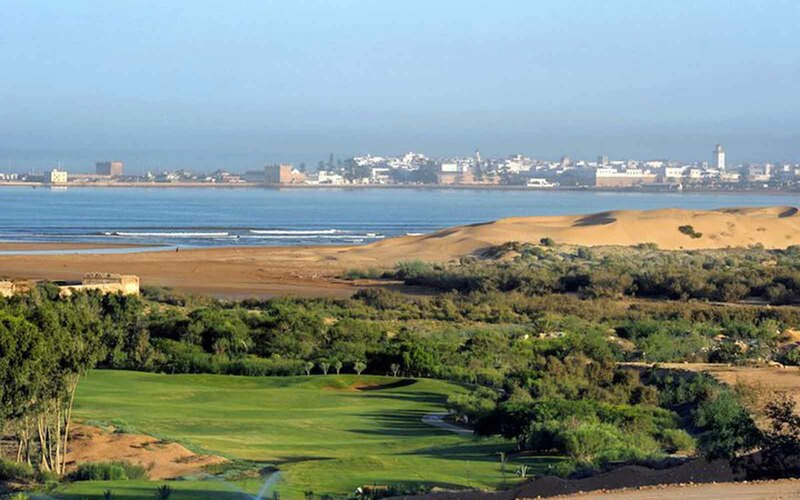 After a day on the green you retire to the golf club lounge for a post-round debrief and a drink before making your way to the unique Essaouira, to enjoy the cuisine and culture of the charming old town. 5-star Relais & Châteaux Heure Bleue Palais in the Medina – dream of 1001 Nights! 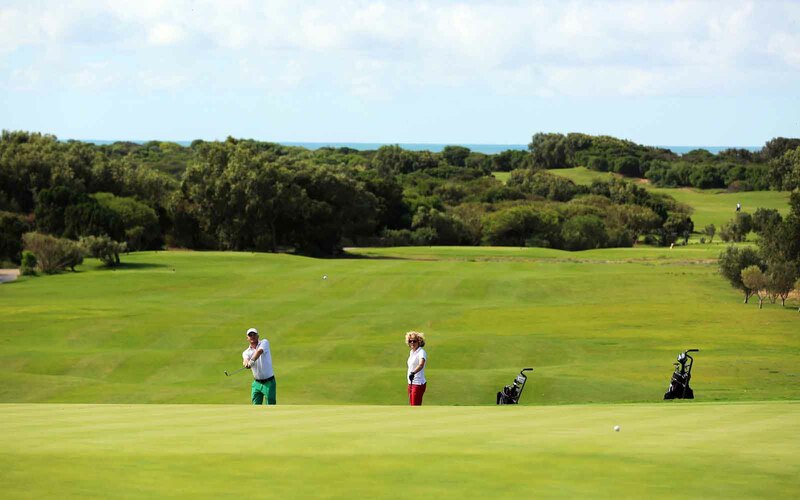 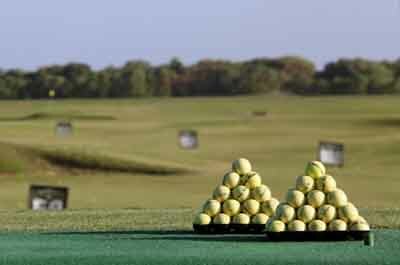 Golf Mogador’s The Club restaurant offers naturally elegant décor with a calm and relaxed atmosphere. 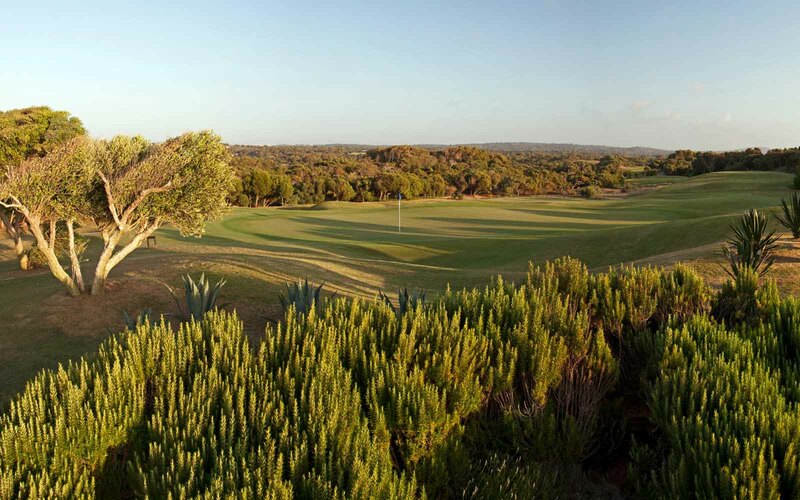 Situated at one of the highest points on the course, the restaurant offers panoramic views through huge picture windows. 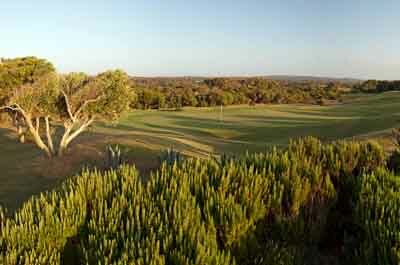 Guests can dine inside or outside on the vast terrace. The Club is open daily from 8am to 8pm and serves a variety of dishes with an Asian twist, as well as snacks and drinks. 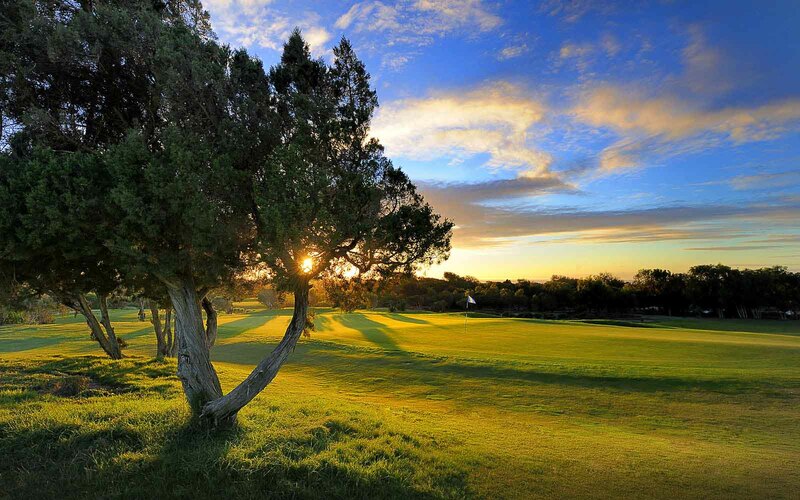 On the first floor there is a comfortable lounge with gorgeous views of the golf courses – an ideal spot for a post-round drink! 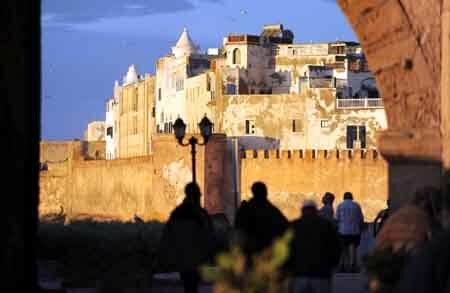 Caravane Café in the Medina – fantastic for food, drinks and entertainment. 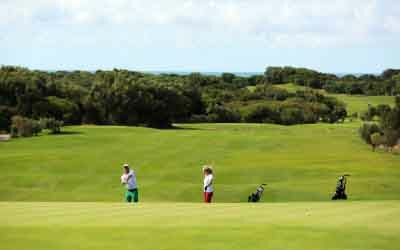 Sun hat and sun cream – don’t end up burnt! 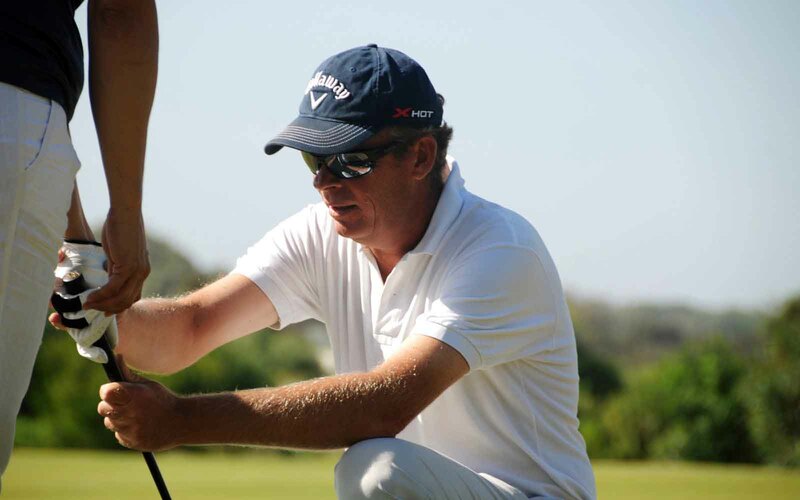 Water bottle – it’s thirsty work! 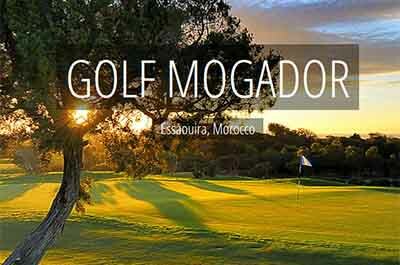 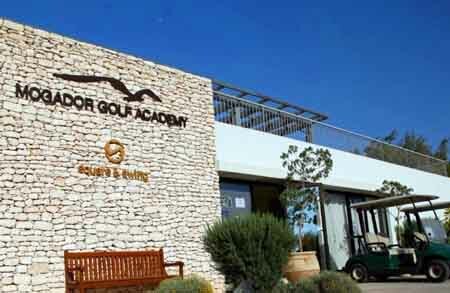 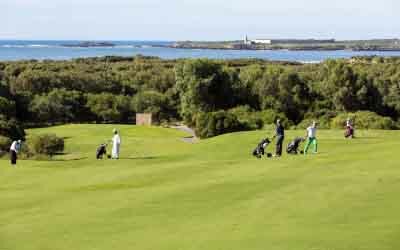 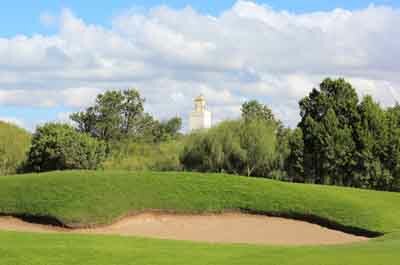 Golf Mogador is just 3km from the picturesque, historic town of Essaouira on the Moroccan Atlantic Coast.